Scenic, popular, easy walking alongside the river. Ashbourne itself is a historic market town with an attractive combination of period buildings and modern convenience. Its wide variety of shops, pubs, restaurants and cafes has everything that you will need for a perfect holiday. You will find galleries, boutiques, gift and antique shops. Eating out is easy with many tea rooms, cafes, pubs and restaurants to suit all tastes. You have the convenience of being able to easily walk to supermarkets (Sainsbury's and Waitrose) together with local delicatessens, bakers, butchers and green grocers. M&S Foods and Aldi are a short drive away. Church Street is an attractive Georgian street leading to St Oswald's Church, 14th century, one of the most visited and beautiful parish churches in England. It houses many tombs in the Boothby Chapel including that of little Penelope Boothby which boasts the most exquisite carving. Visit the Heritage Centre also in Church Street to explore the history of Ashbourne and its people. The Tourist Office (01335 343666) is situated in the Town Hall off Market Square (markets on Thursdays and Saturdays). Here you will find details of the town and area and also book to join a 1.5 hour walking tour of Ashbourne led by a local and enthusiastic guide - times vary so be sure to contact the Tourist Office. The Leisure Centre with swimming pool and gym is just 10 mins walk away and the Park (Ashbourne Recreation Ground and Memorial Gardens) is a 15 min walk at the end of St John's Street. Just 10 minutes away by car or walk 4 miles along the Tissington Trail is the attractive village of Tissington. It is a popular destination to visit the Hall, take tea in Herbert’s Tea Room and generally stroll the village. Other attractive villages for a stroll are Osmaston, Alstonefield, Parwich, Sudbury - visit Sudbury Hall (NT), Brassington, Yeaveley and Kirk Ireton. Denstone is popular for its Farm Shop and Café. The small town of Wirksworth has a strong arts culture which is celebrated each September with the Wirksworth Festival. The Heritage Centre tells the story of prehistoric inhabitants as well as the more recent history of lead mining and quarrying. Close by is the National Stone Centre and 2 preserved railways. The ultimate theme park and only 20 minutes away by car. Fun for all the family including 10 “thrill” rides – try the SmileR the world’s first 14 loop roller coaster. In addition to the water sports on offer (see opposite) there is an award-winning restaurant, playground, courtyard shops, an interactive exhibition, four bird hides and miles of footpaths and bridleways to explore. Plenty of car parking and picnic space. 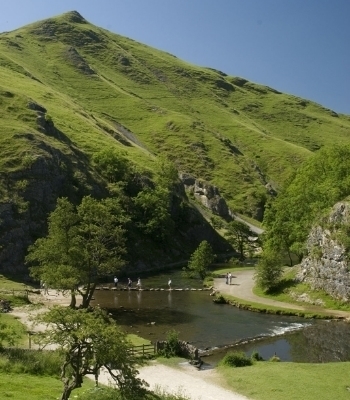 Dovedale is a renowned beauty spot, around 2-3 miles along the River Dove, with stunning scenery and many walks. A dramatic limestone ravine, busy with wildlife and rare wild flowers, impressive rock outcrops, tranquil woodlands and of course the much-loved stepping stones which cross the river. It can be accessed from Thorpe village or use the main car park signposted from the road from Thorpe and Ilam. 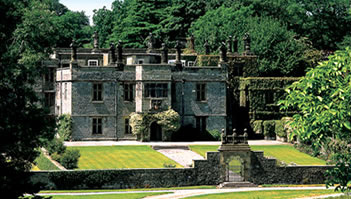 The National Trust have a visitor centre and café at Ilam. It’s an excellent base to start a walk in the country park or the Manifold Valley. Stroll around the village, the church and the small garden of the Victorian Gothic mansion (not open). Visit this delightful garden at Brailsford. Open Sundays, Tuesdays and Fridays from the beginning April to the end of September. Evening events in the summer. Enjoy this journey on a preserved railway both near Wirksworth. The Ecclesbourne Valley railway runs to Duffield and Steeple Grange Light Railway, 1.5 miles north of Wirksworth, is a narrow gauge railway with diesel, battery-electric and petrol locomotives. 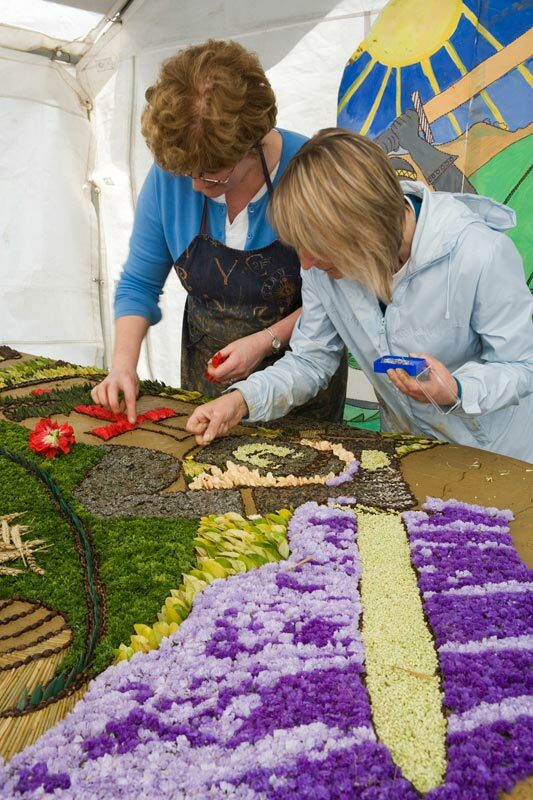 Ashbourne and the immediate area boast a series of events throughout the year. A unique event on Shrove Tuesday and Ash Wednesday each year which literary draws thousands to watch this ‘extreme’ football match between two teams, the Up'ards and Down'ards, who must be born in Ashbourne. The goals are 3 miles apart and the game lasts 8 hours! Major show in its 2nd year rivalling Chelsea, Tatton Park, etc..
Held at Blore near Ilam. Walking: The Derbyshire Dales and Peak District are renowned for their scenery and as walking country. You can find all types from easy to strenuous, from short to long, from flat to hilly. Locally there are well known walks including the Tissington Trail, a 13 mile disused railway line with slight inclines, Dovedale, the Manifold Valley and Thorpe Cloud, a 500m ascent to the flat summit and superb views of White Peak scenery. ‘Walking in Derbyshire’ is a useful website with 6 local walks ranging from a 1 mile Ashbourne town walk to 18.5 miles of circular walk from Ashbourne to Tissington and Shirley. 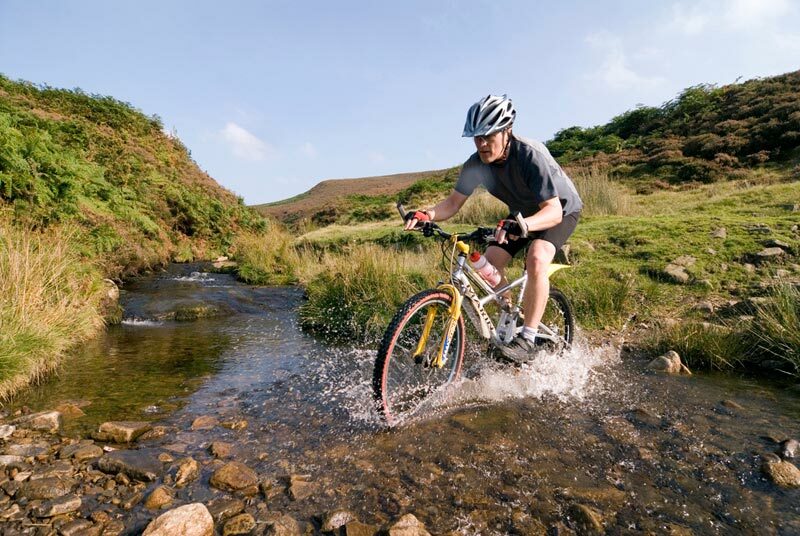 Cycling: You can hire bicycles at the start of the Tissington Trail in Ashbourne (01335 343156). There is cycle hire at Carsington Water (01629 540478), also at Brown End Farm (01538 308313) or Manifold Track Cycle Hire (01538 308609) for the Manifold Valley. Watersports: Carsington Water is your local centre for many water sports. They run ‘Tasters’ in sailing, windsurfing and kayaking. 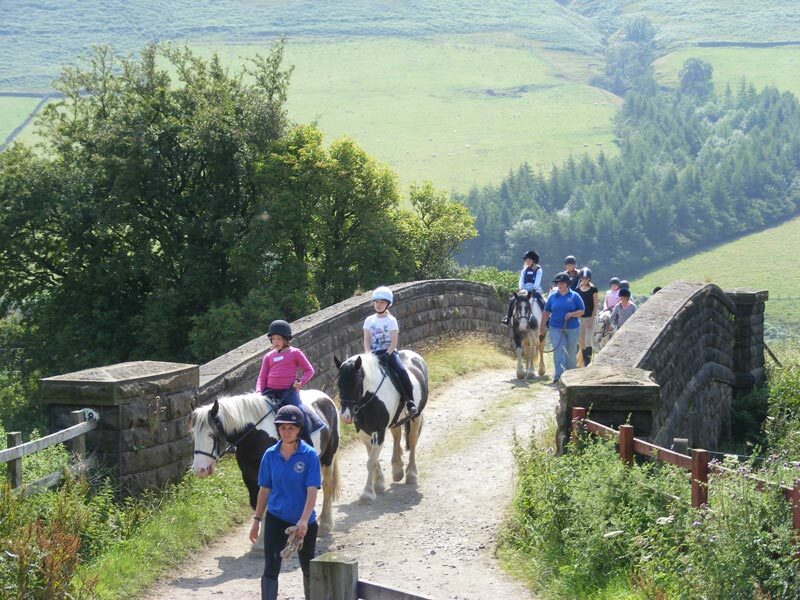 Pony & Horse Riding: The Tissington Trekking Centre caters for all abilities, offering escorted trekking and the chance to view some of Derbyshire’s most stunning scenery. No experience is necessary as it has a wide range of reliable, well-mannered horses accommodating all levels of rider. Fishing: You can fish at Carsington Water, Longford Fishery near Brailsford, River Dove and on the Yeaveley Estate. Climbing: Contact ‘Rock and Ice’ based in Clifton, Ashbourne. Flying: Hang Gliding, Para Gliding, Microlight, Paramotor can all be booked at Darley Moor through Airways Airsports. Golf: There are courses at Ashbourne and Brailsford where visitors are welcome. Quad Biking, Paint Balling, Laser Tag and Archery are available at Wild Park Leisure, Brailsford. For younger children there are many local playgrounds including in the Ashbourne Recreation Ground and Memorial Gardens. Also Lunar Lift off in Ashbourne provides 3 separate safe indoor play areas for babies, under and over 5’s. Click/tap and hold the map to pan around and double click/tap to zoom. Click the location pin to open Google Maps.